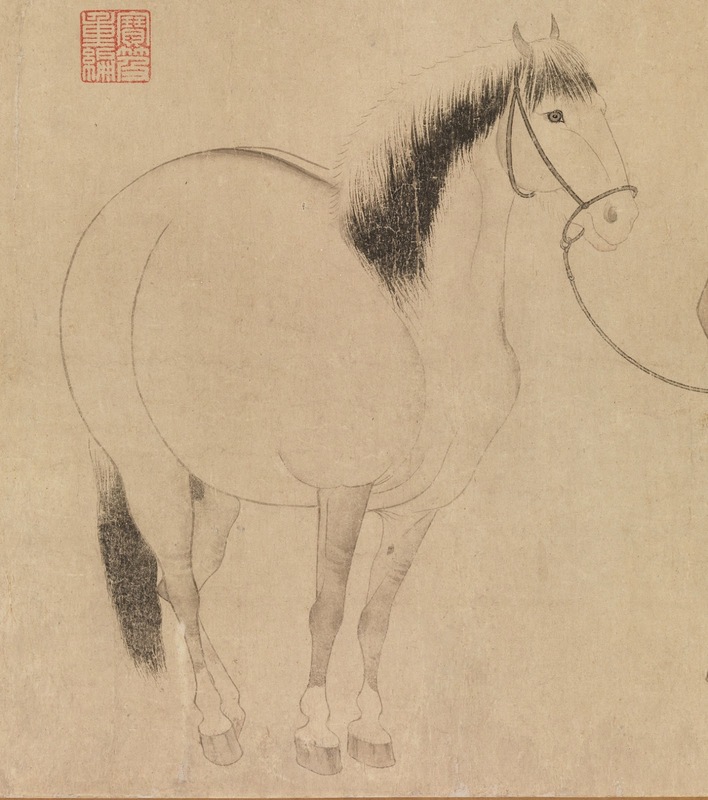 again thanks to the users of the Wikimedia Commons, we are given a rare glimpse into the world of Chinese painting some 700 years ago. 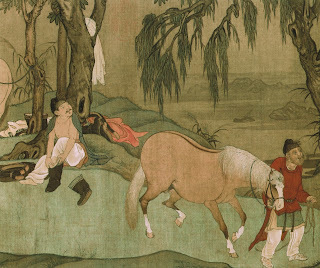 First, I am going to add that I do have a favorite dynasty of the Chinese awfully long imperial history - that would be Tang China and her multiethnic empire (at least until the An Lushan rebellion). 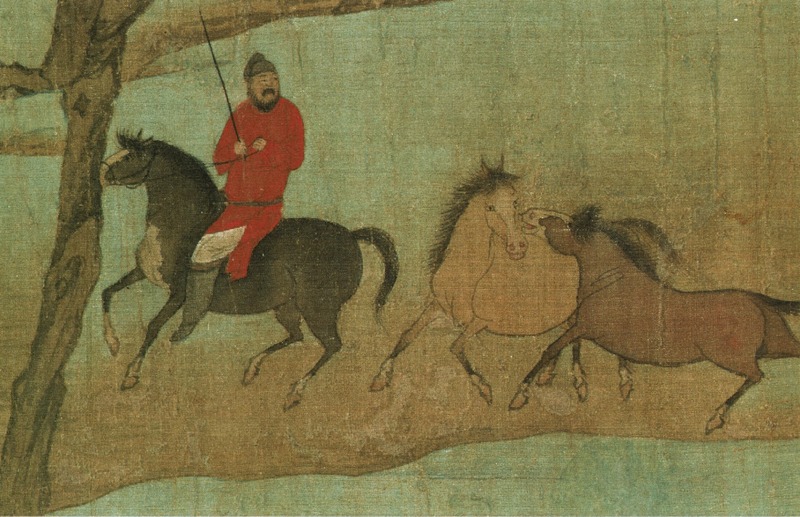 Yuan Dynasty is a Chingizid Borjigin Mongol dynasty that had conquered then much partitioned China, unified the country into one imperial state but eventually, after about a 100 years, was forced out of the 'Han' China by the nationalistic Han revolt which in turn gave raise to the Ming Dynasty etc (I am sure you can read all about this on the Web). 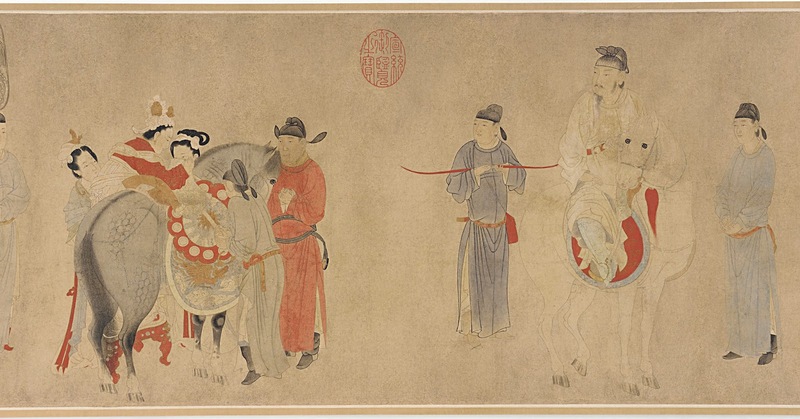 Chinese arts did not stop flowing under the Borjigin Celestial Emperors - eg article on the subject here. A sample of figurative art under the Mongol rule. 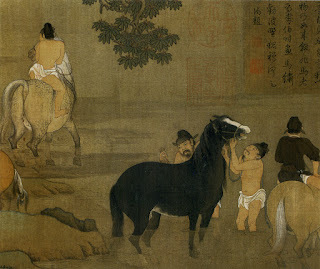 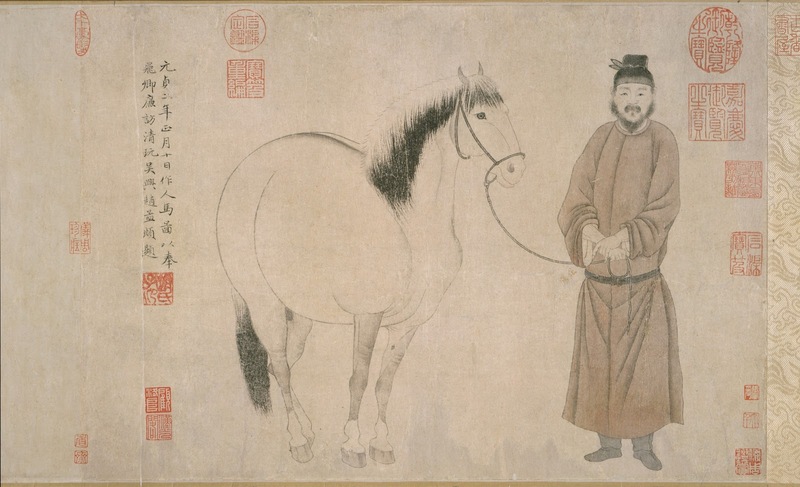 Yuan Dynasty, Yang Guifei Mounting a Horse, by Qian Xuan (1235-1307). 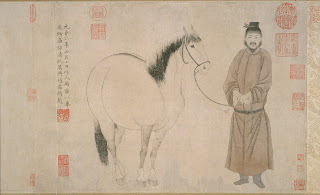 So, this artist Zhao Mengfu came from the highest circles of the Mandarin clans, from the imperial (Song Dynasty) clan of Zhao. He was a prolific artist and awfully skillful calligrapher. 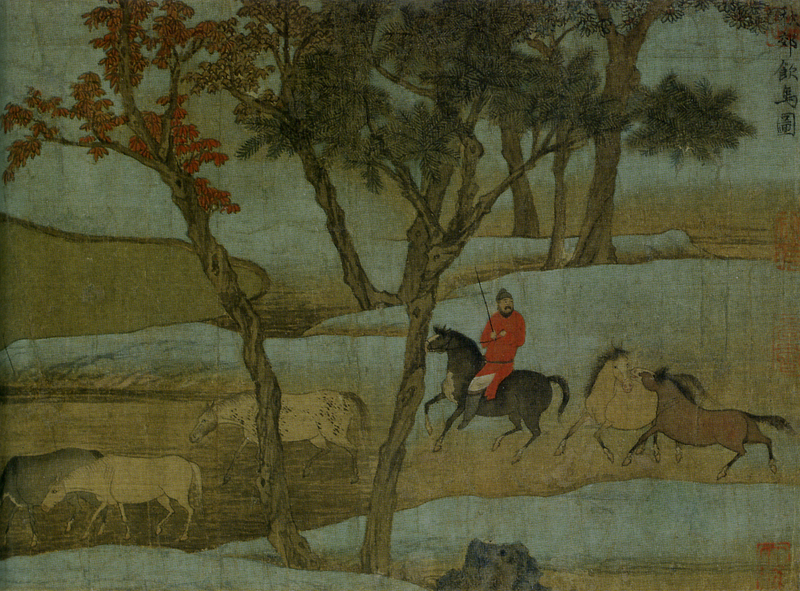 for now we will just enjoy the paintings themselves, but in the fure I may exlpore some interesting info appearing in these works of art.